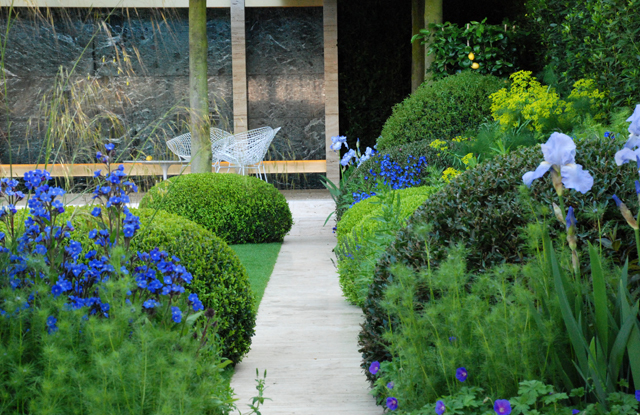 The Telegraph Garden was designed by Tommaso del Buono & Paul Gazerwitz and built by Crocus. It definitely had a strong Italian feel to it. 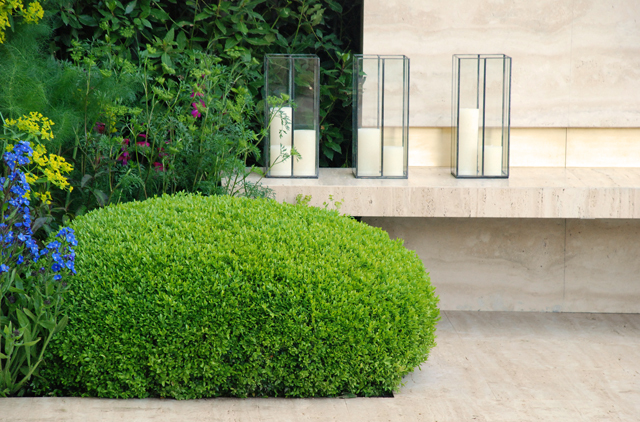 Inspiration for the garden came from revisiting elements that were traditionally found in the great gardens of Italy. 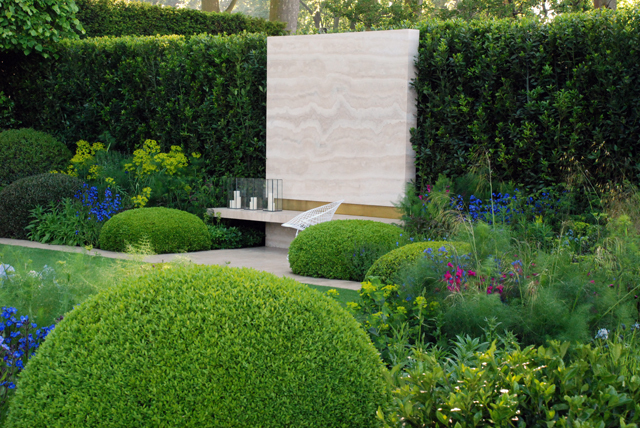 It had a strong and simple structure with gorgeous pincushion topiarised box and pleached trees. 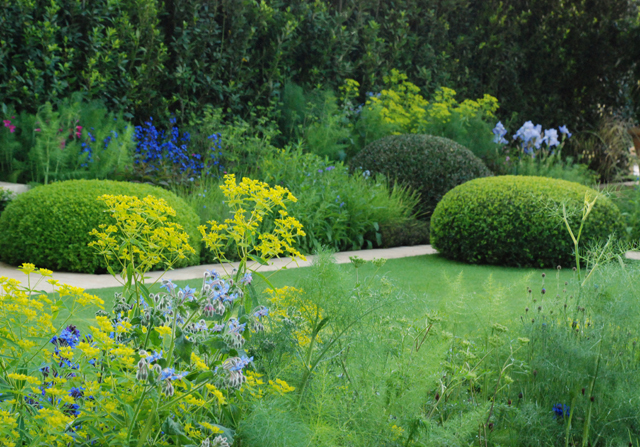 I loved the vibrant but simple planting. 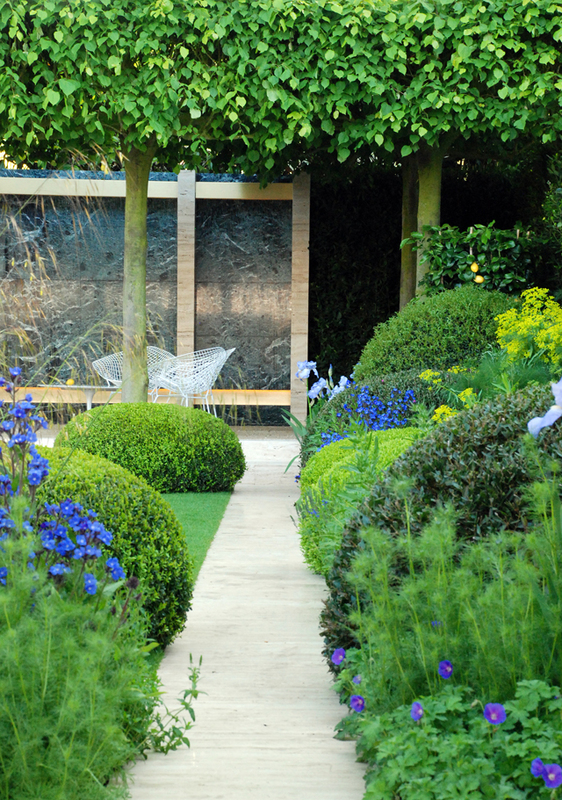 The shiny wall at the back of the garden is actually a water feature – in the sunshine it glistened as the light caught the moving water but rather frustratingly, I wasn’t able to capture it’s true beauty with my camera. 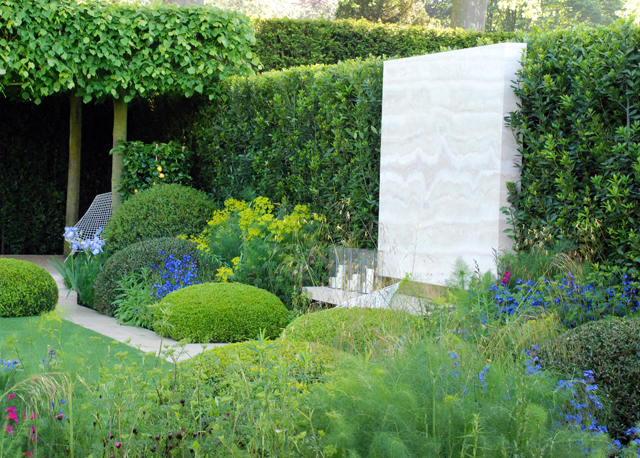 There was nothing particularly new and exciting about this garden, but I think it demonstrated perfectly how a simple geometric layout can really define a space. 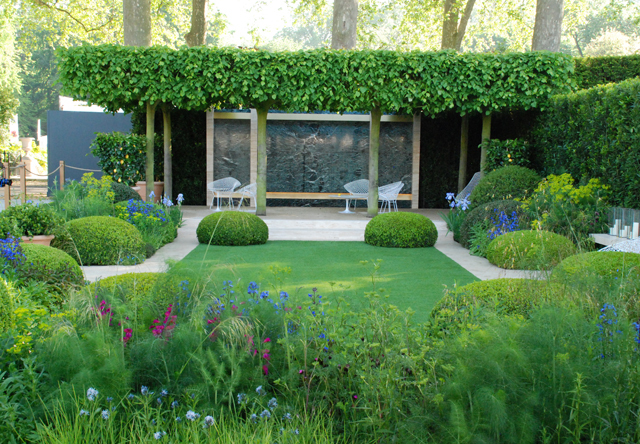 For my personal tastes it was a little too modern in style, but I loved the pleached trees and strong structural planting and I could imagine sitting in it with a glass of something cold!